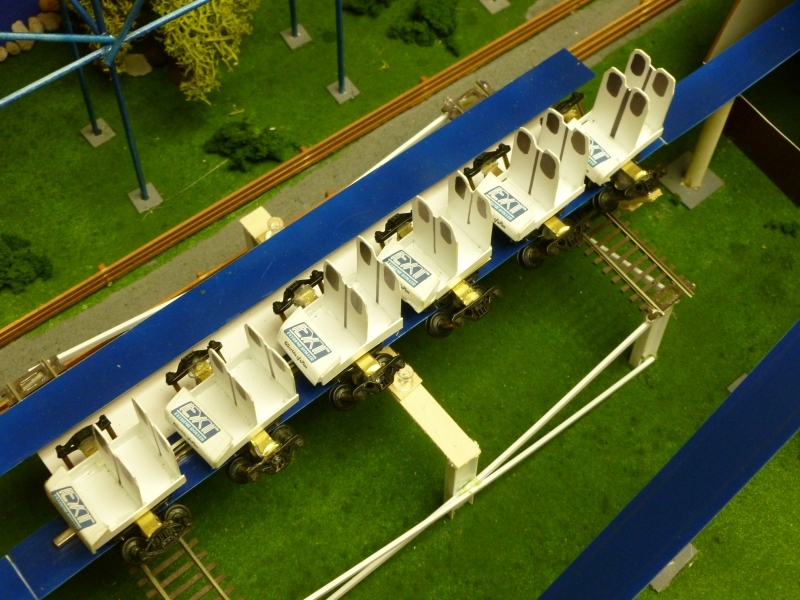 The Screamroller was converted into the EXT, the first stand-up roller coaster in the US, and the second in the world (the other being in Japan at the time). It ran with the stand up cars for all of 1983 and part of the 1984 season and then was converted back to a sit down coaster in 1984. This is the 3rd version of the Screamroller/EXT I have built. I reused the aluminum tubing for track support, the lift motor and chain, the lift support structure and turn around, and converted the train car bodies. Everything else including the base platform is all new for this incarnation of the model.